The Department of Public Works and Highways is completing now the last leg of a road expansion that will link the provinces of Nueva Vizcaya and Pangasinan through the Valle Verde trail which converges in Barangay Malico, San Nicolas, Pangasinan. Previously this trail was known to historians for the relentless drive of United Forces to sustain enormous casualties during World War II to decimate the troops of General Yamashita who were on retreat mode at the tail end of the war. The trail is expected to foster more economic development and opportunities for Pangasinenses and Nueva Vizcayans. This is good news. The Diliman Diary opposes Extra Judicial Killings (EJKs) because it is simply the wrong thing to do. It is a crime against humanity. Shortlist for U.P. Diliman Chancellors has been set. Dr. Patrick Azansa (UP alumnus), Dr. Guy Claudio (Director, UP Center for Women's Studies), Dr. Prospero de Vera (Vice President for Public Affairs and UP NCPAG Professor), Dr. Roger Posadas (retired UP professor), Prof. Nes Raneses (AVP for Administration and Directors, UP ISSI), Dr. Cesar Saloma (incumbent UP Diliman Chancellor), and Dr. Michael Tan (Dean, College of Social Sciences and Philosophy and Professor of Anthropology). A special meeting to discuss the issue is expected on Monday, January 20, 2014 at 8:00 a.m. at Quezon Hall, U.P. Diliman. Tropical cyclone Yolanda hit the eastern seaboard of the Philippines on Friday, 8 November 2013, and devastated the provinces of Samar, Leyte, Cebu, Bohol, Iloilo and Palawan. Two UP units were severely damaged by the super typhoon – UP Visayas Tacloban College (UPVTC) campus (1,543 students, faculty and staff) and UP Manila School of Health Sciences (UPM SMS) in Palo, Leyte (209 students, faculty and staff). As news of the devastation reached me, I immediately instructed Vice President for Public Affairs Prospero E. de Vera to organize a disaster relief effort. I also met with my executive staff and the chancellors of all UP constituent units on Monday, 11 November 2013 to map out a coordinated effort to reach out and assist our students, faculty and staff in the affected areas. 1. 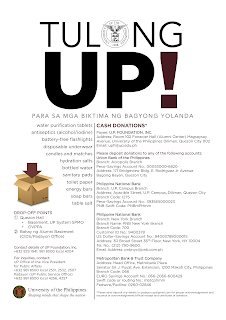 Memorandum PAEP 13-35 (11 November 2013) launching Tulong UP to mobilize material and financial donations for the victims of Typhoon Yolanda (http://www.up.edu.ph/memorandum-no-paep-13-35-help-for-victims-of-typhoon-yolanda/). By late afternoon of the 11th, dozens of of UP students, faculty, and staff worked together to pack 1,000 relief packs which were immediately dispatched for delivery to Tacloban via Air Force C130 flight. 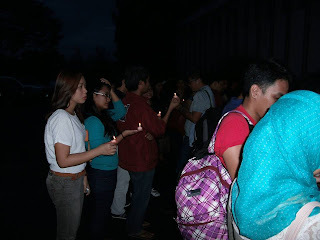 We also shipped out that night several boxes of clothes and other goods collected by the UP Diliman Student Council. A truckload of relief goods was provided by UP Los Banos the other day. Senator Koko Pimentel responded as well with a cash donation of P100,000 and medicines worth P100,000. 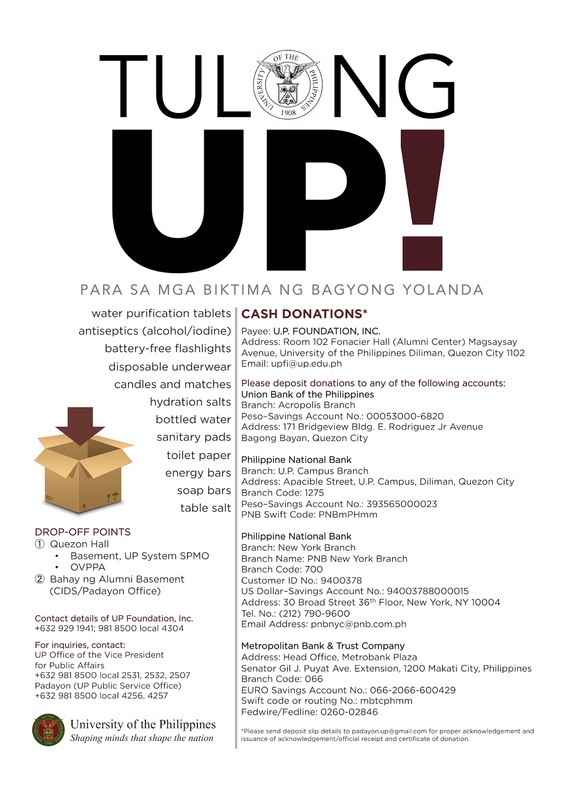 We thank all our students, faculty, staff, alumni and friends here and abroad who are sending donations for this effort. 2. Memorandum 13-36 (13 November 2013) and Memorandum 13-37 (15 November 2013) instructing the chancellors of UP Diliman, UP Manila, UP Baguio, UP los Banos, UP Mindanao, and UP Visayas in Iloilo, plus the dean of UP Cebu to accommodate all affected students from UPVTC who wish to cross-register in their respective campuses for the second semester so that these students do not suffer a delay in their studies. (http://www.up.edu.ph/wp-content/uploads/2013/11/Memo-PAEP-13-36-URGENT-cross-registration-of-UPVTC-students.pdf) (http://www.up.edu.ph/memorandum-no-paep-13-37-implementing-guidelines-cross-registration-of-upvtc-students/). A number of UPVTC students have already signed up to cross-register in UP Diliman, Manila, Cebu, and Iloilo. UP Los Banos has offered dormitory accommodation and living allowance to at least 100 of those who will cross-register there. Still, there is a need to further widen the dissemination of information re the cross-registration opportunity for benefit of the UPVTC students. UP Visayas Chancellor Rommel Espinosa sent a 4-member reconnaissance team to Tacloban to look over the UPVTC campus and bring money for cash advance to UPVTC faculty and staff. The team arrived in Tacloban on Thursday, 14 November and stayed for two days. The contacts on the ground for UPVTC are Dean Anita Cular (0917-328-1357) and Associate Dean Anida Lorenzo (0917-357-0650). UPM SHS Dean Buddy Dastura (0917-803-4929) returned to Palo from Manila also on the 14th and is now on the ground to assess the situation and provide recommendations on how we can best assist our constituents in the School of Health Sciences there. From reports received so far, we are thankful that there is no fatality among our students, faculty and staff in the two areas. We will continue to seek and assist all the affected members of our academic community until we know everyone in need of assistance been provided with aid. A UP Manila Pahinungod medical team led by Dr. Eric Talens will leave this Sunday (17 November 2013) to render emergency medical assistance to our Palo, Leyte campus. A forensics team led by Dr. Racquel Fortun is now working with the Department of Health, Asia Foundation, and the International Red Cross to handle the management of dead bodies in Leyte and Samar. We are also preparing to send a technical team of UP professors who are experts in civil engineering, architecture, urban planning, and geohazard assessment to be led by former Architecture Dean Dan Silvestre. The team will evaluate the damaged physical infrastructure and facilities of our Tacloban and Palo campuses. Their work will provide guidance to our rehabilitation plan. We will continue to work with Philippine authorities on the ground to offer the services of our medical, forensics, and technical experts in the areas that are not covered by other government agencies. While the situation on the ground is improving, the road to relief and reconstruction will be long and challenging. I appeal to all members of our academic community to continue helping us locate, reach out and help all our students, faculty, staff and their families in the affected areas. I also ask that you continue to mobilize resources and expertise to help us provide relief and reconstruct our campuses, the communities around them, and all other areas devastated by this typhoon. The loss in the affected provinces is immeasurable, but there are reasons to hope. For one thing, this Philippine tragedy has served to bring the world together, as the international community quickly responded by sending aid and rescue teams. Help came pouring in from foreign governments, from international agencies, and from ordinary people. We are truly living in a global village now, and this growing awareness of our interconnectedness, not only among nations but with our own planet and its inhabitants, is a source of inspiration for us. In the wake of this devastation, we are given an unparalleled chance to start again. When we rebuild our towns and cities, we can take the opportunity to make them better, smarter, more resilient and more sustainable. We can redesign our communities into places that healthy and creative lives for people. more than the 2012 UP budget. was Php 4.34 B in 2003. Abolishing the pork barrel or the Priority Development Assistance Fund (PDAF) would not solve the systemic problems of corruption and mismanagement plaguing in the Philippines, an emerging consensus at a forum at the Manila Hotel, held last August 26, 2013, shows. I went to this forum with my mother, former Senator Leticia R. Shahani; which was held on the same day as the million person march. 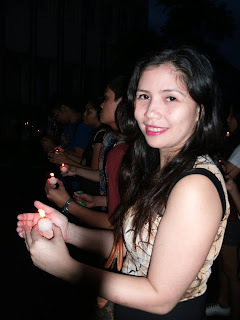 "Come with me instead," my mom said, promising that I would gain more in sights than merely attending the medley of sit-ins held right outside the Manila Hoitel and in other venues. And so I did. One of the organizers of the march, Rasti Delizo of Sanlakas, said that the march was one where the miuddle class was expected to take the lead. "People are outraged at the misuse of funds worth PhP 10 billion or more," he said, adding that the uniting line of thge various groups involved in the march was to scrap all pork barrel, and to hold all those guilty to account and to punish them. President's Social Fund, funded from Philippine Charity Sweepstakes Office (PCSO) and Philippine Gaming Corporation (PAGCOR) remittances. Local funds. For example, the Quezon City pork barrel is PhP 42 million a year. Internal Revenue Allotments of the local government units (LGUs). The intelligence fund of the President. Priority Development Assistance Fund (PDAF). The forum was emceed by Manila Hotel President, former Senator Joey Lina. Atty. Lina said that the senators had PDAF or pork barrel of PhP 200 million a year, of which PhP 100 million had to go towards "hard" projects while PhP 100 million had to go towards "soft" projects. In the case of congressmen, they were alloted a total of PhP 70 million, of which PhP 40 million had to go towards "hard" projects while PhP 30 million had to go towards "soft" projects. Sister Mary John Mananzan, one of the forum participants, said that rather than funding projects helter-skelter via PDAF, it was more important to use the money to fund "the most glaring" projects in order to solve these problems as quickly as possible. These areas were in housing and government hospitals. Former Senator Leticia R. Shahani, a member of the Former Senior Government Officials (FSGO) a group made up of former high-ranking Philippine government officials, said that the million person march was "a manifestation of the anger of the people." She said that no matter what form of structure evolved to take the place of PDAF and other pork barrel funds, it was "useless," unless long-term attention was paid to changing the values and mindsets of people, because ways and means could be found again and again to sybvert the structure and filch money from the people. Given that Philippine-style government is operating under a system with two houses of congress with one president given one six (6) year term; and with congress given the power of the budget, it would become apparent that congress is allowed (under the 1987 constitution) to approve items on the budget. Thus, in order to remove this glaring self-serving anomaly; the constitution itself has to be amended in order to reflect a system of government that is more attuned to the people's needs. More on our system of government later. PAHAYAG NG UPCSWCD: TANGGALIN ANG PORK BARREL NGAYON NA! TANGGALIN ANG PORK BARREL NGAYON NA! PONDOHAN ANG MGA BATAYANG SERBISYONG PANLIPUNAN! Nakikiisa ang Kolehiyo ng Gawaing Panlipunan at Pagpapaunlad ng Pamayanan (CSWCD) ng Unibersidad ng Pilipinas (UP) sa mga miyembro ng faculty, staff, estudyante at alumni ng UP na mariing nagkokondena sa walang pakundangang paglulustay ng pera ng bayan sa mga bogus na NGO at proyekto gaya ng ipinahihiwatig ng tinatawag na P10-bilyong Napoles scam. Bilyun-bilyong piso ang inilalaan sa Priority Development Assistance Fund (PDAF) ng mga senador at congressmen ngunit walang linaw kung paano ito nagagasta kayat nagiging oportunidad para sa walang habas na pandaraya at pandarambong. Mayroon din ibang malalaking pondo na ang tawag ay lump sum appropriation ng mga ahensiya ng gobyerno, kasama na ang ehekutibo, na hindi alam kung ano at saan ang pupuntahan. Ang ganitong sitwasyon ay tunay na nakakapanlumo, nakakaiyak at nakakagalit lalo na sa konteksto ng laganap na kagutuman at kasalatan ng mahihirap na Pilipino. Ngayon ay dagdag pang hagupit ang pananalanta ng mga bagyo at pagbaha. Sa harap ng ganitong kalagayan ay malinaw ang tuwid na landas na dapat tahakin ng lahat ng mamamayang Pilipinong may malasakit sa Inang Bayan. Di dapat palampasin ang tahasang pagtalikod sa matitinding pangangailangan ng ating mga kababayan at garapal na paglustay ng pondong dapat sila ang nakinabang. Dapat imbestigahan at parusahan ang lahat ng maysala! Dapat suportahan ang panukalang batas para sa pagtatanggal ng sistemang pork barrel! Isabay na rin dito ang pagtatanggal ng lump sum appropriation ng lahat ng ahensiya ng gobyerno! Dapat gamitin ang pondong nakalaan sa pork barrel (P25.4 bilyon para sa taong 2014) at sa mga lump sum appropriation sa mga batayang serbisyong panlipunan para sa kalusugan, edukasyon, pabahay, mass transport, imprastruktura sa kanayunan, at reporma sa lupa! Lumahok tayo sa sama-samang pagkilos ng pamayanan ng UP at sa pamayanang binubuo ng lahat ng mga Pilipinong naghahangad ng isang malinis na pamahalaang nananagot sa lahat ng kanyang gawain at gastusin, at tumutugon sa mga pangangailangan at hinaing ng mga maralita at nasasantabi sa lipunan. 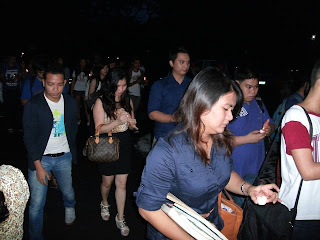 Last August 23, 2013, Cyd Godinez and I went ot to the College of Mass Communication at U.P. 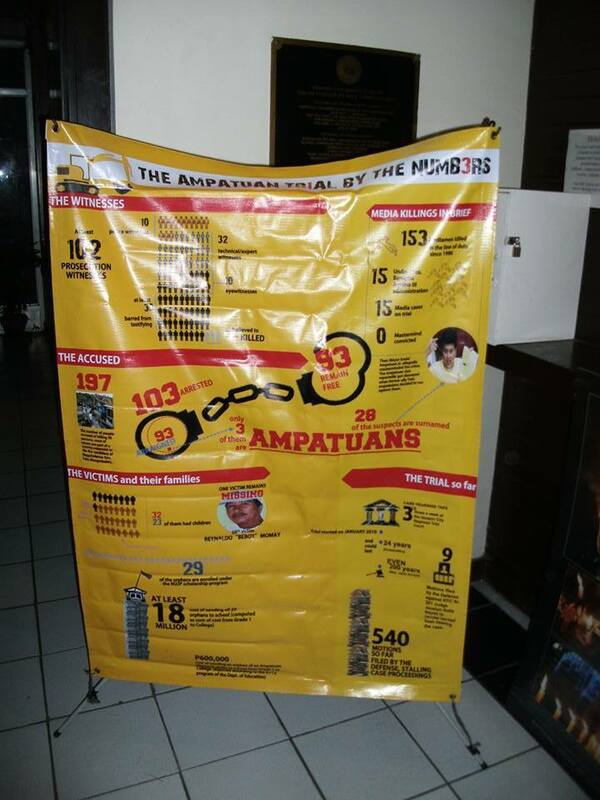 Diliman to attend the commemoration of the November 23, 2009 massacre in Maguindanao where some 32 journalists died, out of a total of 58 victims. On hand were the faculty and students of the College of Mass Communication, headed by CMC Dean Roland Tolentino. There were some talks, and then candles were lit to commemorate the victims. Coming before the August 26, 2013 million person march to Quirino Grandstand to protest the existence of the priority development assistance fund (PDAF) or pork barrel resulting in losses of at least PhP 10 billion to the Filipino people; Dean Tolentino and fellow CMC professor, Danilo Arao, collectively made the point that PDAF was an egregious instance of the misuse of government resources towards unethical ends. 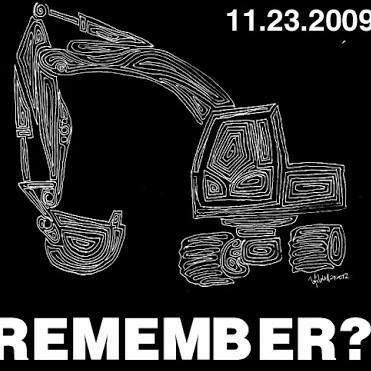 On the other hand, the machinery of the local government: local police, personnel, even a backhoe were used to massacre 32 journalists and other people. These assets employed were paid for with the Internal Revenue Allotment (IRA) of the local government units (LGUs). In other words, even IRAs are subject to abuse, and even IRAs, PDAFs should be looked into and be subjected to oversight and inspection so that abuses of such horrendous proportions can never be repeated again. In both instances - that of the PDAF and that of the Maguindanao massacre - presidential patronage allowed actors to act with impunity. 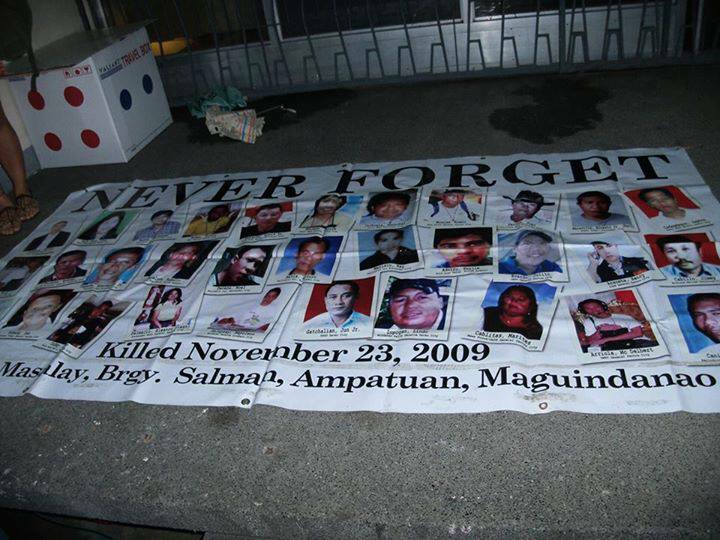 In the case of the Ampatuans, who delivered valuable votes to former President Gloria Macapagal-Arroyo in Maguindanao, and are still seen as political assets to the President benigno S. Aquino III, the trial seems to drag on with an ever elusive sense of justice for the families and friends of those who died in Maguindanao. Dean Tolentino called for the abolition of the Presidential and Congressional pork barrel.He urged those who attended the commemoration of the murder of 58 people, to attend the million person march towards Quirino Grandstand and other points of Metro Manila and throughout the Philippines to march with the PDAF in mind, and the Maguindanao massacre in mind. "Makibaka tayo at huwag tayong matakot," Dean Tolentino reminded his audience. At issue regarding the IRAs, it turns out is that the IRAs reflect the same kind of greed for resources and power that are reflected in the presidential and congressional pork barrels, said Danilo Arao, a professor of journalism at the CMC. 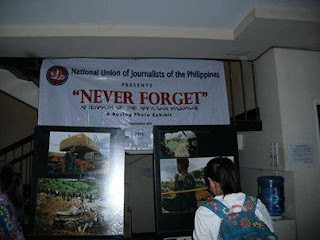 Arao also urged journalism students to stick to the time honored University of the Philippines ideals of honor and excellence as part of their public service as working journalists; which included letting concealed information come out to be scrutinized by the public. Justice for the Maguindanao massacre victims and other victims of extra judicial killings. The retention of freedom of speech. Arao said that the high survey satisfaction ratings of President Benigno S. Aquino III were not an excuse to collectively make the public's heads spin with distorted information related to PDAF ore pork barrel, which he said might simply be given a new name. We, the University of the Philippines community, strongly condemn the deceitful and misleading announcement of President Aquino to “abolish” the Priority Development Assistance Fund (PDAF) and to institute, in its place, a supposedly “new” mechanism for allocation. This is a clear attempt to pacify and diffuse the just anger of the people and their clamor for the abolition of the pork barrel system and the rechanneling of funds to basic social services. In fact, PNoy’s proposal is by no means an abolition of the PDAF; rather, it is a sugarcoated reform of the inherently flawed pork barrel system. It drowns the more substantive problems of graft and corruption and patronage politics that result from this system. Worse, it conveniently leaves the president’s Special Purpose Funds, amounting to at least 310.1B, untouched, even increasing his discretionary power in the management of national funds. In PNoy’s proposal, the congressional pork barrel (PDAF) will merely be repackaged, such that the Congress will continue to be at the behest of the Department of Budget and Management and the Office of the President. In the guise of transparency, the proposal actually places the PDAF under the stricter and more direct control of the President, making legislators more beholden to Malacanang. This farce is by no means an “abolition” but a perpetuation of the pork barrel system: it fortifies patronage politics both at the presidential and local levels, and violates constitutional principles by blurring the lines between the executive and legislative functions of government. We are calling for just distribution and rechanneling of funds to basic social services, NOT a rehashed pork barrel system that is even more vulnerable to corruption. These funds must be allocated through public agencies such as public hospitals, state universities and colleges, public schools, salary upgrading of teachers and government workers, etc. The skewed regional allocations in the proposed budget must be realigned, with sufficient allocations for neglected regions in the Visayas and in Mindanao. Let not the deceitful machinations of the PNoy Administration dampen our rage against unbridled corruption in government and attacks on our right to social services. On National Heroes Day, we shall continue the legacy of our heroes in upholding the people’s interests against the rich and the few who secure seats in government and reduce the national agenda to their own selfish interests. On August 26, we shall march from Liwasang Bonifacio to Rizal Park to Mendiola to decisively assert our resolve to abolish the presidential and congressional pork barrel and rechannel funds to basic social services! Join the August 26 March from Liwasang Bonifacio to Luneta to Mendiola: 7AM mass-up at Quezon Hall, UP Diliman; 9AM meet-up at Liwasang Bonifacio and march to Rizal Park. N.B. – This is the official statement of the UP College of Mass Communication on the pork barrel issue, signed by 29 faculty members and 14 staff led by Dean Roland Tolentino and former deans Luis Teodoro and Georgina Encanto. THE FACULTY, students and staff of the University of the Philippines College of Mass Communication (UP CMC) will join the people’s assembly and march at the Luneta on Monday, August 26 to express our collective outrage. 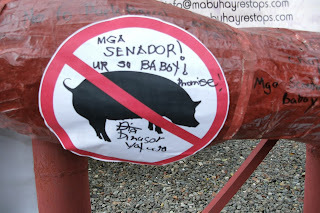 We demand the abolition of the pork barrel system; the immediate arrest of, and the filing of appropriate charges of plunder and other high crimes against those involved in the P10-billion pork barrel scam from both the private and public sector; and a thorough and non-partisan investigation into the entire system of which the scam is only a small part of the estimated P250 billion lost to corruption in the public sector. Together with the rest of the Filipino people, UP and its constituents, as well as the other state universities and colleges, are among the victims of the corruption that has metastasized throughout officialdom as well as the private sector. While our budgets are being reduced to the detriment of our mandates to train those among our young men and women with the most potential to serve this country and its people, billions are funnelled annually into the pockets of scoundrels and thieves both in and out of government so they may indulge their greed for fleets of luxury cars, palatial homes, and shopping binges abroad. This is a horrendous crime for which those guilty of it should be penalized. President Benigno Aquino III should first of all forthwith cause the withdrawal from the 2014 General Appropriations Act of the P27 billion in pork barrel funds for Congress, selected agencies, and his own office the Department of Budget and Management has appropriated. He should immediately organize an investigative body credible enough to look into the extent to which not only pork barrel but also other funds have been and are being misused, while ordering the Department of Justice to file the appropriate charges of plunder against those involved in the P10-billion pork barrel scam. President Aquino’s “bosses” have spoken. His defense of the pork barrel and his insistence on keeping the system intact despite widespread outrage and opposition of the Filipino people are unacceptable. These are completely at odds with the people’s sentiments and the objective interest in seeing to it that taxes are well-spent for the people’s own benefit rather than that of a handful of rapacious individuals whose greed knows no limit. Prof. Fernando A. Austria, Jr.
With demand for reforms intensified and student activism was defined by frequent altercations with authorities, the atmosphere within the University of the Philippines Diliman was chaotic to some extent. One must note however that at this point in UP’s history, students were rallying because of gasoline prices. Student organizations, at the time, were actively involved with issues concerning the Philippines and were often very enthusiastic about their advocacies. UP later on came to be known for its activism whatever issue it may be. It was February 1, 1971 when students decided to do a massive human blockade to keep vehicles from entering the university. By 9 AM student leaders started rallying their fellow students to join the protest and a few hours later, the UP Security Force arrived at the scene acting on complaints from professors and residents of the area. As one can imagine there was a scuffle right at the University Avenue with students behind pillboxes and in a heated argument with university security. Although activism at the time was not only popular but necessary, there were still those with dissenting opinion and those who did not want to involve themselves in the protests. One of these people is a professor of the Mathematics Department. Prof. Inocente Campos is known for his eccentricities and is infamous among students because he kept on ignoring boycotts –on three occasions to be exact. The professor tangled with student activists who wanted to go inside his classroom to persuade the class in joining the respective rallies. In one occasion, Prof. Campos fired three warning shots to drive away student activists out of his classroom. Despite his rather eccentric nature, there is no question that Prof. Campos is a dedicated teacher. In fact, he believed that teaching was a sacred responsibility as well as a public duty. On that day, the professor was on his way to the university to conduct a class since the University Secretary’s office did not suspend classes. Upon entering the first checkpoint, the professor slowed down but he was not blocked by the students. However, someone recognized him and soon, students started throwing pillboxes at his car. He continued driving but one of the tires was damaged and his car stopped. By then, students advanced toward the teacher as he got out of the car. According to records, he put on his vest and took his shotgun from the back seat then tried to fire it to scare the activists. The gun however was jammed so the professor took out his .22 caliber rifle and started shooting. He did not stop firing and at the heat of the moment drew his revolver and fired more shots. Minutes after the shooting, Prof. Campos was arrested by the police and brought to the Quezon City police station. As a result of this untoward incident, a student by the name of Pastor “Sonny” Mesina Jr. was seriously wounded. 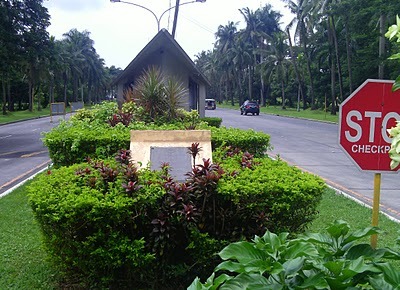 He was rushed to the UP Infirmary and was later transferred to the Veterans’ Memorial Hospital located just a few minutes away from the university. He however did not survive and died four days later. 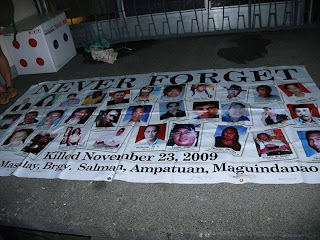 It is important to note that while many of Mesina’s peers were both angered and saddened by the incident, his death became a crucial factor in latter developments because it turned the protests for gasoline price increase into a massive protest against military intrusion. Pastor Mesina Jr.’s may not be remembered by many but the plaque in remembrance of the student can still be seen today. The plaque was placed right where he fell when he was shot by the irate professor. Because of the rich history of the university, many incidents are no longer remembered but many of Mesina’s peers will always have a vivid picture of the shooting. N.B. – This is a joint press release of the Staff and Student Regents on a controversial issue at UP. Please feel free to share. Thank you. The University of the Philippines Board of Regents (UP BOR) has decided to reopen discussions on the renaming of the UP Diliman College of Business Administration (CBA) to the Cesar EA Virata School of Business. At its 1,289th meeting last July 29, the members of the UP BOR agreed to discuss the issue further even if the renaming was already approved last April 12. Ramirez made a motion to rescind the renaming of the CBA. In her position paper, she stressed Virata’s role as prime minister during the Marcos dictatorship. This, according to her, is the main reason there is a public outcry over the BOR’s decision last April. She said that Virata supported the Marcos dictatorship until the very end. For her part, UP Student Regent Krista Melgarejo said that Virata’s being a loyal technocrat of Marcos is not a good role model for the youth. She said that Article 3.1.2 of the UP Naming Rights Policy approved by the BOR on August 28, 2009, clearly states that the individual “must have sterling reputation or could be looked upon as a role model of the youth.” This policy, however, does not include the renaming of academic units. “This is yet another case where the university’s soul is being sold in exchange for funding. A clear and present danger brought upon by commercialization schemes resulting from the national government’s failure to provide greater subsidy to education,” she said. According to Melgarejo, the petition papers signed by many students from the university, including those from the CBA, must not be disregarded. She said that the online petition has more than 500 signatures and comments. Aside from Ramirez’s position paper and the online petition, the two regents also presented a statement from the UP Alumni Association in America, Inc. President Dr. Romulo Aquino supporting Ramirez’s arguments on the issue. They also furnished copies of the petition paper signed by 13 deans from various UP constituent universities, as well as by former and current UP officials, faculty members, staff members and students. The BOR is the highest policy-making body of UP. For verification and more information, please call UP Staff Regent Razel L. Ramirez (0908-591-3737) and Student Regent Krista Melgarejo (0920-645-3953). The Indian Navy to expand maritime interests in South and Southeast Asia, retired Indian military official says. India can provide a balanced multipolarity to the increasing assertiveness of China in East and Southeast Asia, said Major General Vinod Saighal (Ret. ), India's former Director General of Military Training and presently the Executive Director of Eco Monitors Society, an NGO involved in demography and ecology issues, at a forum today at the Asian Center at the University of the Philippines at Diliman. Saigal said that India is now definitely committed to projecting further east into the South China Sea and beyond is no longer in doubt. Thus far, its maritime projection has been towards maritime activities related to trade and exploration for hydrocarbons, when it has been invited by a host country, such as Vietnam. He said that much will depend on China's military assertion in the region as well as the projection of the Chinese navy into the Indian Ocean to either balance or rival India's historic primacy in the Indian Ocean. He said that if and when India does move in more meaningfully into the maritime speheres claimed exclusively by China as its core interests, the chances of tensions heightening between the two regional powers becomes a distinct possibility. Saigal said that a greater presence by the Indian Navy beyond the Malacca Straits would be welcomed by practically all the nations of Southeast Asia as well as Japan and South Korea. Referring to the Philippines in particular, Saigal said that the Philippines was Asia's first democracy, and that India was Asia's largest democracy. He said that both India and the Philippines, therefore were standard bearers for democracy in Asia. In the same forum, Commodore Caesar Taccad, the Deputy Commander of the Philippine Fleet, Philippine Navy, said that countries such as China and India were already major regional maritime players, and that India's projection into the Indo-Pacific region "would heighten tensions" with China. He said that India's roile would complement that of the United States, which has begun concentrating its military resources in the Pacific; but whose sustainability to continue operations would remain in question. He said that India has interests in the South China Sea, and that it was entirely possible that it would seek strategic partnerships with countries such as Australia and the Philippines. Dr. Aileen S.P. Baviera, a professor of Chinese studies and international relations at the Asian Center, University of the Philippine and currently its officer-in-charge and former Dean whose research interests include regional security, territorial and maritime disputes, major power relations and China-Southeast Asia ties, said that there was now a trend towards "balanced multi-polarity in South East Asia." "All countries operate under pressure from domestic considrations," she said, but said that norms such as the following of the rule of law" should prevail and that "the resort to arms buildup isndicative that diplomacy is failing." 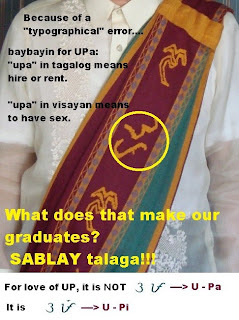 The baybayin characters on the Sablay of our graduates read as “upa”. This would connote that the iskolars ng bayan are for HIRE upon their graduation, when they are suppose to prioritize service to the nation. Baybayan characters are not the same as our Abakada alphabet where each letter is a basic sound or phoneme, either a vowel or a consonant. In baybayin, which is a syllabic writing system, each character is already a syllable. It seems that there was no in-depth study in using baybayin characters on emblems. Somebody just thought to translate the English letters “U” and “P” to the Pilipino abakada “U” and “Pa” and then to the baybayin characters of syllables “U” and “Pa”. This was reverse engineering at its worst and without any historical basis whatsoever, most definitely not worthy of a UP scholar. In the military, we revere symbols, especially those made with the blood of our heroes. A well-known usage of the baybayin characters is that found in the flags and emblems of the Katipunan in the 1890s, which bear the baybayin script Ka Ka Ka the acronym for Kataas-taasan, Kagalang-galang Katipunan. They DO NOT stand for the first letter “K” but for the first Syllable “Ka” of the three words. We are often confused into thinking that the symbol is the same as the letter “Ka” in our Abakada. The Abakada is an indigenized Latin alphabet of the Tagalog language, created by Lope K. Santos in 1940. During the Philippine Revolution against Spain, THERE WAS NO Pilipino alphabet then and the baybayin character “Ka” stands for the FIRST SYLLABLE of Katipunan. Therefore, to “abbreviate” words using baybayin, the character of the first syllable of the word is used. The baybayin characters on the Sablay are the acronym for Unibersidad ng Pilipinas. 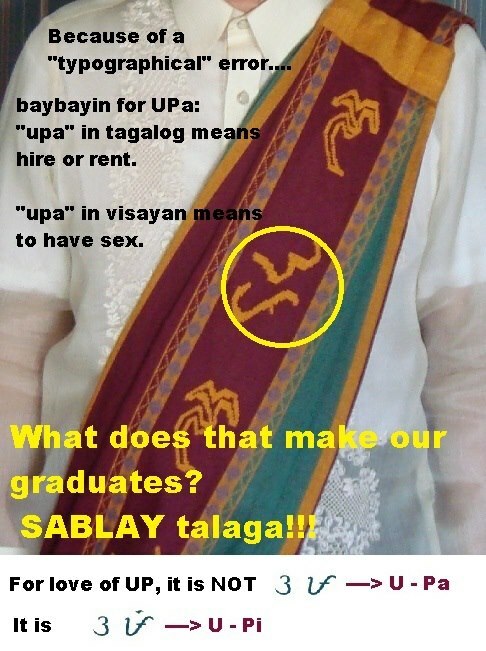 The first syllable of “Unibersidad’ and the baybayin script for “U” on the Sablay is correct. The first syllable for “Pilipinas” is “pi” but in the Sablay the character there is for “pa”. A tuldik must be placed on the “pa” character to change it to “pi”. Since 1990, when the Sablay was first used, we have been parading our graduates for the world to see, carrying the word “UPa”, a tagalog word for “Hire”. Sadly, this does not speak well of UP.